Support Operating system: Windows 10, Windows 8.1, Windows 8, Windows 7 SP1, Windows Server 2016, Windows Server 2012 R2, Windows Server 2012, or Windows Server 2008 R2. Browser: The current version of Internet Explorer, Microsoft Edge, Safari, Chrome, or Firefox. .NET version: .NET 3.5 required. Some features may require .NET 4.0, 4.5, or 4.6 CLR to also be installed. Word 2016, Excel 2016, PowerPoint 2016, OneNote 2016, Outlook 2016, Publisher 2016, Access 2016 & Skype for Business. This sale includes the Original Recovery Media and COA sticker for Microsoft Office Pro Plus 2016 Product Key, the original broken not economical repair computer and motherboard which is only available for pickup (contact us before purchase to arrange a pick up). If not picked up in 3 days after sale, it will be disposed. 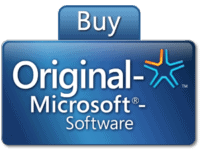 Otherwise you will only receive Microsoft Office 2016 Pro Plus Product Key.